On the top of the World...: Wiittians Go Junky Today! 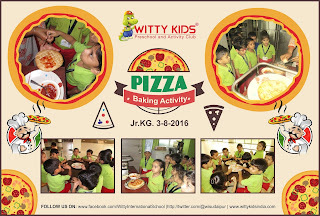 We all love to be refreshed from our mundane life, then, how can kids be for behind, as the Wittians of Jr. KG are learning about the concept of Community Helpers, the next come in the line is the Bakers , Today, the students of Jr. KG learnt about the process of making Pizzas. The Tiny fingers spread the Pizza sauce, Cheese and Vegetables on the Pizza Base. 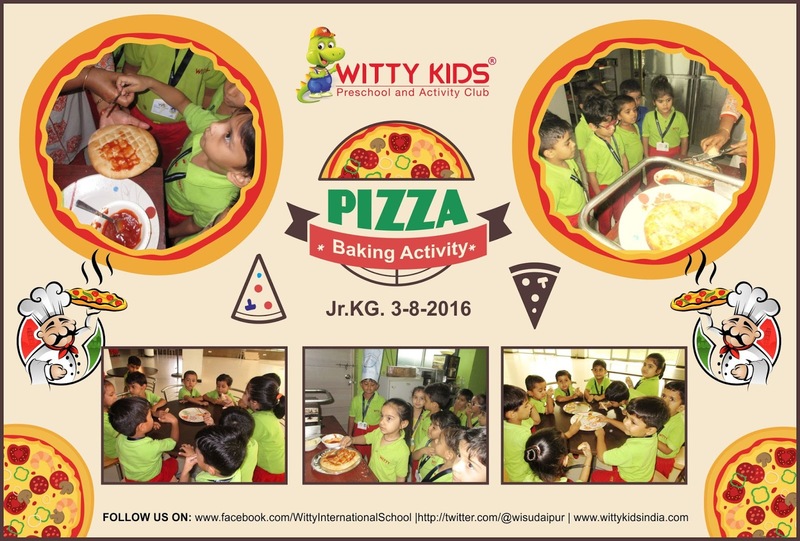 They learnt about the ingredients used & enjoyed its baking.